Social housing is becoming increasingly important in Wales at a time of rising demand for affordable housing and constrained resources. Housing Associations in Wales have committed to building at least 12,500 new homes by 2021 and face significant challenges and opportunities. There is an increased focus on resilience. Identifying efficiencies and demonstrating value for money to sustain growth, develop homes, and deliver services is at the forefront of sector ambitions. Strategic risk management is essential for housing associations to continue delivering social objectives underpinned by effective governance arrangements and viable improvement strategies. The Welsh Government has reformed regulation and introduced a new rents policy. The United Kingdom government is rolling out Universal Credit and other welfare reforms. The potential impact of ‘Brexit’ on the finances of housing associations is unclear. In this context, do you think that a working knowledge of housing association finance in Wales would put you and your colleagues in a position of advantage? This seminar is designed for people who are not experts in housing association finance, but who need to understand the basics and achieve an overview of what is going on. It is fully up to date with all developments. It refers to rents, service charges, development, sources of capital funding including grants and borrowing, housing benefit, welfare reform, business planning and much more. Many people have already benefitted from this seminar. Whether you are in a Housing Association, Local Authority or the Welsh Government; whether you are a Housing Manager, Tenant Representative, Elected Member, Board Member or even a member of the Housing Finance Team, you could benefit from attending our seminar. How do the Statements of Comprehensive Income (and Expenditure) work? What policy developments are affecting Welsh Housing Association finances? How can Housing Associations invest in social housing? What are the Financial Opportunities for Housing Associations in Wales? The session is accompanied by a very useful 100-page book that is designed for reference after the session entitled: ‘All You Want to know about Welsh Housing Association Finance 2019’. Delegates will gain an overview of Welsh Housing Association Finance and will keep up to date with developments. To view or download our brochure, please click here. 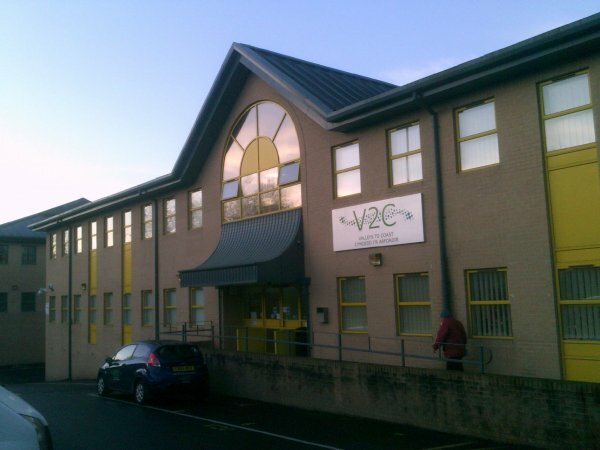 Valleys to Coast Housing Association Offices in Bridgend. Valleys to Coast is an example of a stock transfer association. To download a copy of our brochure, please click here.